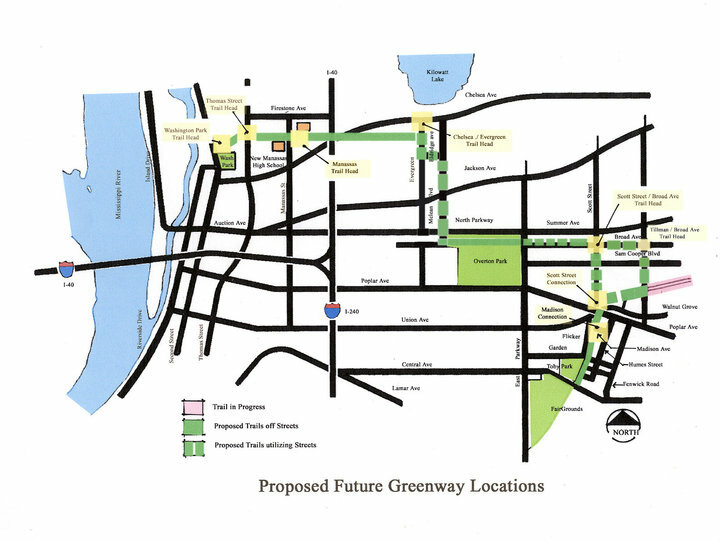 Friends for Our Riverfront: Trails & Greenways Heading Toward Riverfront!!! 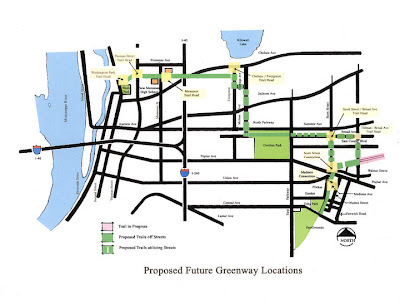 Trails & Greenways Heading Toward Riverfront!!! It's time to celebrate the progress being made on trails and greenways and, yes, to start looking at ways to connect our riverfront and downtown. The Grand Opening of the Shelby Farms Greenline is set for Saturday, October 9. Click HERE for info. 1. The purchase of a 2-mile section of unused rail near Chelsea Ave., which links Uptown, the Wolf River Greenway and the Mississippi River Trail with nearby schools, St. Jude, Rhodes College and Midtown. 2. The development of a plan to extend the western terminus of the Shelby Farms Greenline to Overton Park on the north and the Fairgrounds to the south. 3. The purchase of a property at the corner of Scott and Broad Avenues to create a trailhead which will link Shelby Farms and Overton Park — the “Park-to-Park” connection. 4. The creation of 400 miles of utility easements into a multi-use trail system, with the permission and support of MLG&W.